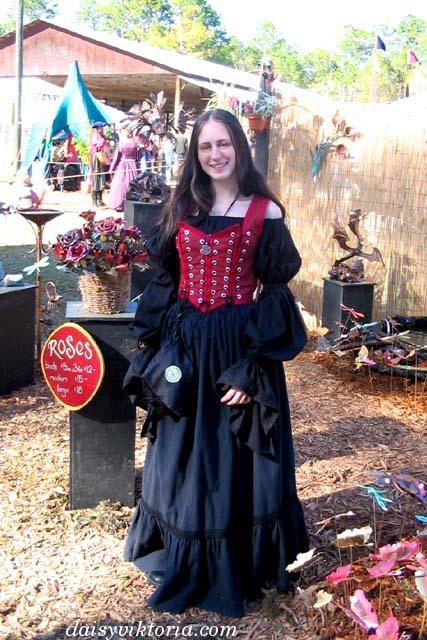 This was made to wear to Renaissance Faires. 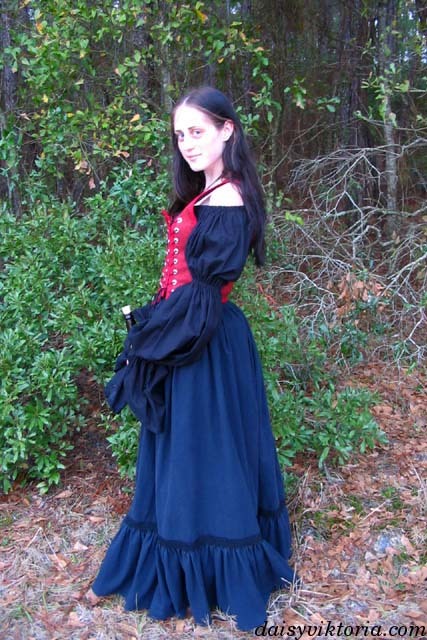 The style is based on historical clothing, but I was more interested in just making something I liked at that point, and I decided I wanted a black and red dress. The bodice laces in three places, a style I had seen around the Faire and liked.